Yes, I own a Kindle, and I’m about to carve out a book to make a Kindle case out of it. No, I don’t hate books. The Kindle is a very convenient device for someone like me who likes to read and travel a lot. It’s very slim, but nothing compares to the feel and weight of a real book made of paper, so why not make a Kindle case out of it and maybe I can still have that fragrant old book smell? 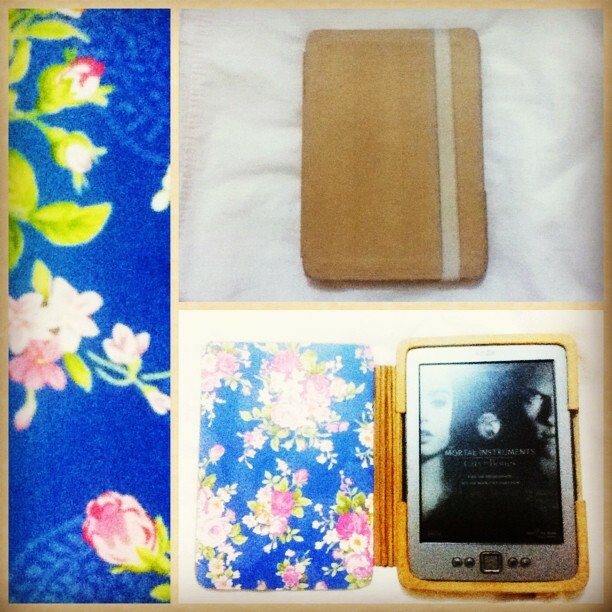 My first Kindle case when I got the device a year ago was also a DIY case made by my boyfriend, Niko. It was made of cold press illustration board and gumtape. The old case. Niko’s pretty crafty. It served me well but Niko and I decided it has gotten to old and ratty and we were both feeling a little crafty so a new case was made and here’s the how we made it.